SONIC MASALA - Im going to try and avoid as many obvious questions as possible, but I do have to start with this, sorry! Underneath The Pine is a markedly different beast than Causers Of This - was this a deliberate ploy to distance yourself from the chillwave movement that was attributed to you? TORO Y MOI - In a way it was intentional. I didnt want to make the same album twice in a row so I already knew what I wasnt going to do. But when it came to making this album I just wanted to make an album that would show a logical transition–which led to me exploring cosmic jazz and funk, and soft rock. SM - What are your thoughts then on the massive focus on this particular sound? TYM - I was thinking about drum sounds and different synths mostly. And I focused on certain chord progressions. That's it! SM - Underneath The Pine is unabashedly different from most of your other releases thus far – a much more funky, soulful edge, with the occasional 60s psych pop inflection (in my opinion!) - what were your musical foundations? TYM - Pretty much all of those things you just listed (laughs). I was interested in the way music sounds from those time periods. Its not as compressed but I was still able to be powerful and lush. SM - What about the songs themselves – do you delve into personal experiences for your influences, or is there another technique at play? TYM - I felt like I became a better keyboard player since i started tour in the summer of 2009, so that helped me become more confident in writing new piano parts. I was really curious to find out more about key-changes and if I could make them work in my music. SM - Your artwork for the new album has received some interesting responses over the past few weeks. What was the genesis behind it? TYM - I felt it fit the sound of the new album because it was intimate and detailed, and the overall image isnt as dark as Causers (first album Causers Of This). The pomelo in my mouth is what is confusing most people. It was given to me on my birthday, I feel like some meaning could come out of that too, but Im not trying to dig too deep into it. SM - Lets dig a bit deeper then! How does Underneath The Pine represent you, Chaz Bundick, at this point in your life, both musically and personally speaking? TYM - Well, thinking about the pomelo being a birthday present, I could see how this album could represent the unveiling of another side of my songwriting...even though I've recorded live instruments before, I feel like this is an official presentation. 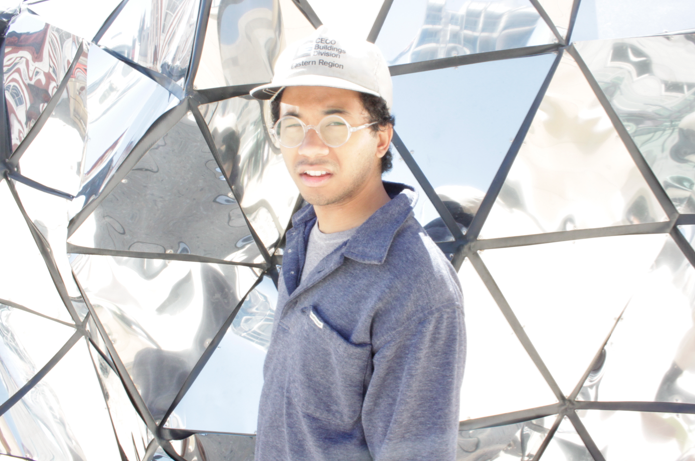 SM - Much has been made of the more traditional live instrumentation that these tracks deliver – how does the use of a live band enhance the Toro Y Moi sound? TYM - It helps a lot. Im able to get my ideas across live better when I write songs that were meant to be played live. I think I found that out quickly when I had to play Causers live. SM - How has the live experience changed over the time from being a one-man project to including a band of musicians into the fold? How does it flavour your older, more confessional tracks? TYM - I think it's a lot better and more interesting to watch. I feel that most people are familiar with the recordings, so why would you pay or want to hear the same exact thing coming from a computer? Using instruments is what my background is and is what Im comfortable with. SM - You are about to tie up your tour here in Australia – how do you feel it has gone down? Any particular highlights? TYM - I think my favourite part was Sydney. We got to play two shows in the same venue, which makes things easier. Also it was great to know that all of the Australian shows were sold out - pretty amazing actually. 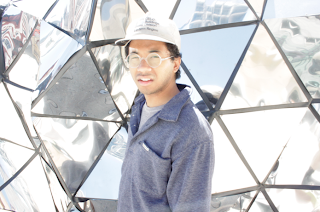 SM - What’s next in the world of Toro Y Moi? Any collaborations you would like to set up? TYM - A really stinky fart!